adidas’ on-trend Yung-1 silhouette is arguably the Three Stripe’s top new silhouette of the year. Checking all of the Trefoil Brand’s usual boxes, it boasts a timely, chunky aesthetic, it equips vast color blocking capabilities, and it bears an aesthetic that reminds consumers of the 90s, and inexplicably popular trend in today’s industry. 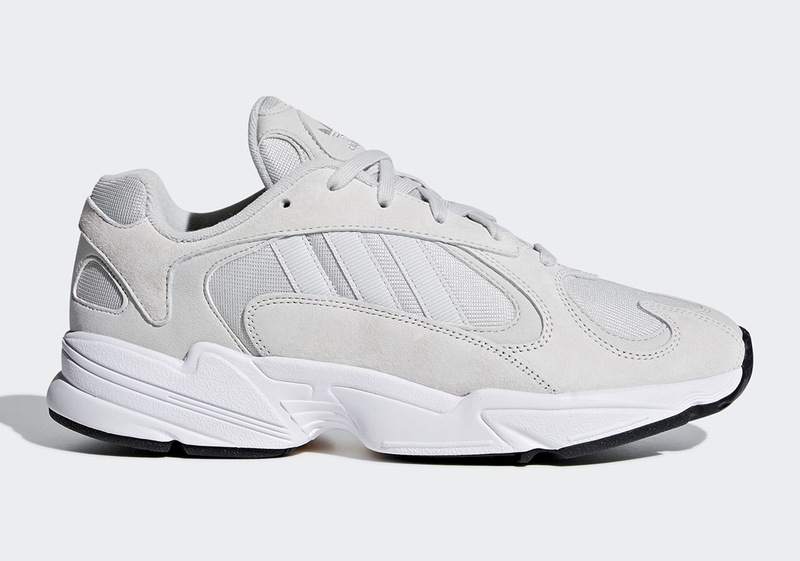 Next up for the Yung-1 is its simplest colorway yet, dressed in a tonally light shade of grey, sitting atop a stark white midsole unit and a black outsole for contrast. While we have seen designers take liberties with its color schemes in the past, this particular offering opts for to let the layering of the model create depth on its own and speak for itself. With no specific release information having been reported to this point, we can expect a release date in the near future due to the official set of images featured below.